Owning the company that George Lucas built. George Lucas couldn't have envisioned in 1983 that his then company, THX, would one day be owned by a PC peripheral maker, but that's exactly what is happening now more than three decades after it was spun off from Lucasfilm. Razer, a company best known for its computer mice aimed at gamers, has gone out and acquired the majority assets of THX, the audio firm announced today. Financial terms of the deal were not disclosed, though THX did say that it will continue to operate as a standalone company underneath the ownership of Razer, and with its same management in place. THX was originally created to ensure that Star Wars Episode VI: Return of the Jedi would sound as good as possible in move theaters. It quickly became a popular certification in audio and visual systems, branching out from movie theaters and into consumer electronics, and is still a sought certification after today. This isn't THX's first foray into computer gear. Creative Technology Limited, the company behind Sound Blaster audio cards, purchased a 60 percent stake in the company in 2002. All of that has presumably been transferred to Razer. "We will continue to focus on providing superior audio-video experiences in the home, in the cinema, on the go, in your cars and concerts like Beyoncé’s Formation tour," THX CEO Ty Ahmad-Taylor stated in a blog post. THX currently has three lines of businesses. One of them continues to be certification. The other two are optimizing other's systems (THX Live!) and using its core technologies in partner products (THX Inside). THX will continue focusing on all three while adding additional certification lines to include headphones, Bluetooth speakers, streaming video, set-top boxes, and connected speakers similar to Sonos speakers. Ahmad-Taylor says the decision to sell the company's assets and IP to Razer came down to the peripheral makers giving THX a "rock-solid foundation" to execute on the three aforementioned business areas. 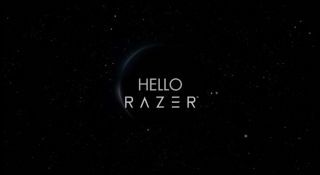 He also hinted at the obvious, which is that no one should be surprised if THX "launched a few joint products with Razer." What exactly those are remains to be seen—maybe one day Razer will sell a THX-certified mouse (ugh). Going forward, Ahmad-Taylor will report to Razer CEO Min-Liang Tan. While the two companies will remain separate entities, they will collaborate on products where audio and gaming overlap, especially VR. "We are interested in providing superior audio-visual experiences. As gaming bridges into VR, we expect to play a leadership role in the audio portion of that experience, which is crucial for completion the immersion into virtual worlds," Ahmad-Taylor added. As for Razer's interest in THX, Tan explained to Venture Beat in an email that he's been fan of THX for the greater part of his life and, after working with THX on a speaker product several years ago, he has a high confidence level in THX's team of designers and engineers. "I appreciate what the people at THX have done to build, maintain and extend such a brand with a passionate following. Professionally, the best-in-class audio video certifications, intellectual property and technology vision of THX is relevant to our fans and followers, as well as audiovisual enthusiasts generally," Tan said. "The THX audiovisual designers and engineers are the most talented of their kind in the world. I can suggest this with some authority, having personally worked with Laurie Fincham and his team when we embarked on the Razer|THX Mako project those years ago." It's an interesting acquisition for Razer, which now offers a robust catalog of peripherals and products that extends beyond gaming mice. It's also an interesting destination for THX that's sure to elicit mixed reactions. The Verge said the acquisition "undeniably marks a low point for the once gloriously gleaming brand of THX," adding that its footprint in U.S. theaters has diminished over the years. There's an argument to be made there, though at the same time, perhaps this is the exactly the type of fresh start THX needed.